Pattern to fit a thigh circumference range from 7” to 14”. The legwarmers are worked starting at the top, inner thigh. 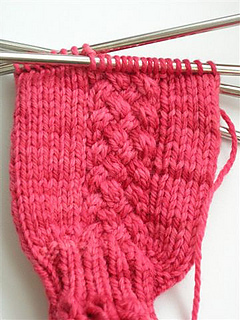 The cable braid pattern runs down the outer thigh.